Visit To Turkey: Do you know them? 1. 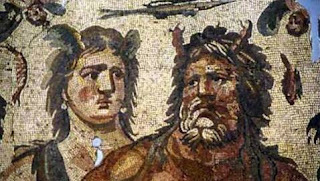 World's second largest mosaic museum, is located in Antioch. Sumer 5000 years ago the first time when they use the walls of the house spend with their pottery pieces created in the most beautiful examples of this technique, it is possible to encounter around Anatolia. Antakya mosaic museum in a much more Gaziantep, Zeugma in. 2. Two continents in the world (Europe and Asia) was established on a single city is Istanbul. Istanbul, 3 great empires in history thousands of years (Roman, Byzantine and Ottoman), reached the capital. 3. Neolithic Period belong to one of the oldest settlements as defined in the first house architecture and history, the first sacred structure, such as the first landscape picture of humanity's place in the first field with the original findings shed light on the history of civilization, Çatalhöyük, Central Anatolia region of Turkey in Konya cities in the county and visitors Cumra is very affecting. 4. 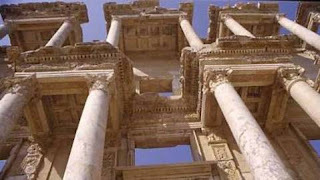 Izmir Ephesus Artemis `te tapinagi the architecture is great. But JT Wood in 1869-1874 of the temple in 1904-1905 in the David G. Hogart` found during excavation work in the ruins of the British Museum is `a taking. Goddess Artemis` e MO temple is dedicated 800 years of Halicarnassus mausoleum by the Carian queen Artemisia in memory of his wife between the years of MO 355 and 340 was built. 5. First para, in Turkey's Aegean Region, near the town of Manisa province Salihli by the Kingdom of Lydia Sardis'te BC capital 7. been printed at the end of the century. Name is the Turkish word 6.Turkuaz color and Turkey's southern Mediterranean coast inspired by the excellent color is derived. 7. Coffee, first to Istanbul from Yemen in the 16th century has brought. 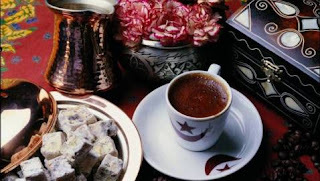 Turkish culture, Turkish coffee is prepared in the manner of a ritual 17th century all Europe was recognized. Turkish coffee-drinking by celebrities like the Balzac, Moliere, Alexandre Dumas, Victor Hugo and have names such as Pierre Lotti. Coffee drinking is still an important part of Turkish culture, and gained appreciation of all the world is a special drink. 8. Tulip flowers in Turkey to the Netherlands, V. Kanuni Sultan Süleyman sent to Charles'ın ambassador by Ogier Ghiselin de Busbecq is introduced. After the coming of the Netherlands and England in tulip bulb tulip to grow as part of a great interest. This interest has increased by up to 1634 last year and this period 'to Growing Tulip Madness' has been named as. 17. century in Turkey, aesthetics and recreation in the intensive is known as the Tulip Period. 9. The world's most valuable silk rugs, Mevlana Museum in Konya is located at. Marco Polo, 13 century during the trip was visiting here, then travel the best and most beautiful in the world you see here is the kilimlerinini. 10. Today, the cave known as St. Peter's Church, Christ's disciple, one of 12 visited Antioch when St. Peter's sermon is given. The earliest place of worship for this is Christianity is known as. Papal authority, in the year 1963 the world's first cathedral here and Christians as the place to be pilgrims have been declared. 11. Anatolia, powerful Phrygian King Midas, the father of history, and disciple of St. Paul Heredot born of many historical figures were located. Of Pennsylvania Museum archaeologists, in 1957 opened the grave of King Midas and the oldest in the world and have found some of the best-preserved furniture. 12. Known today as Santa Claus or St. Nikola, was born in Patara in Turkey's Mediterranean coast, Myra (Demre) has served as Bishop. Aziz 65 years old when Nikola'nın on December 6 and is believed to kill Demre'de, held each year within the framework of the commemoration ceremonies and activities all over the world children are fraternal embrace. 13. Early period of Christianity in Anatolia, has occurred with many important events. St. John, St. Paul and St. Peter during the life and worship has lived in South Anatolia. St. John after Jesus's crucifixion, the Virgin Mary and the Virgin Mary was admitted to the city of Ephesus, by the end of life on the slopes of Bulbul Mountain has lived in a small stone houses. This house, now accepted as Christians by the Virgin Mary pilgrimage center Evi'dir. 14. 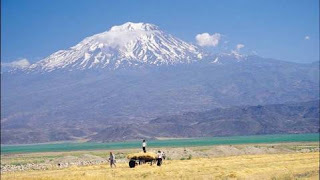 Setup-time and then the great flood mentioned in the Old Testament Kerim and according to legend, Noah's Ark, the water is drawn to the mountains in Eastern Anatolia pain was multiplied. Throughout the centuries scientists, to find the remains of Noah's Ark on the slopes of the mountain made the excavations. 15. 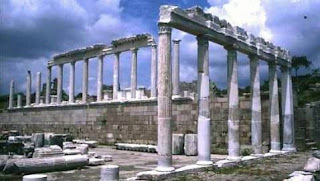 7 churches mentioned in the entire New Testament in-Ephesus, Simirna, Pergamum, Thyatira, Sardis, Philadelphia and is located in Laodika-Anatolia. Important to the Christian religion which was held in Anatolia Konsiller'in all. 17. 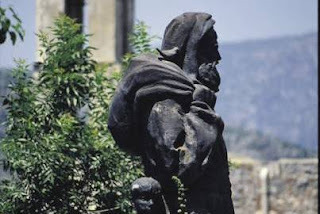 The subject of the famous poet Homeros'un Destanı İzmir'li Troy Troy Troy War of the historical places of Turkey's western province of Çanakkale, Tevfikiye is located near the village. Today, erected in memory of the legendary battle at the symbolic board, cezbe mankind for centuries from the mystical, mythological epic, and a romantic atmosphere and unique history of Troja to feel the charm is an invitation to travel. 18. Closest to the real one of the first world map drawn in 1513 the cartographer, Piri Reis is famous Turkish captain. Piri Reis's map, only Europe, Asia, Africa and parts of America are discovered, but later become aware of the existence of the piece of land is included. The famous book 'God in the car Erich Van Daniken, Piri Reis's map of reality to be surprisingly close,' misfirlerin help from the universe 'and has announced.